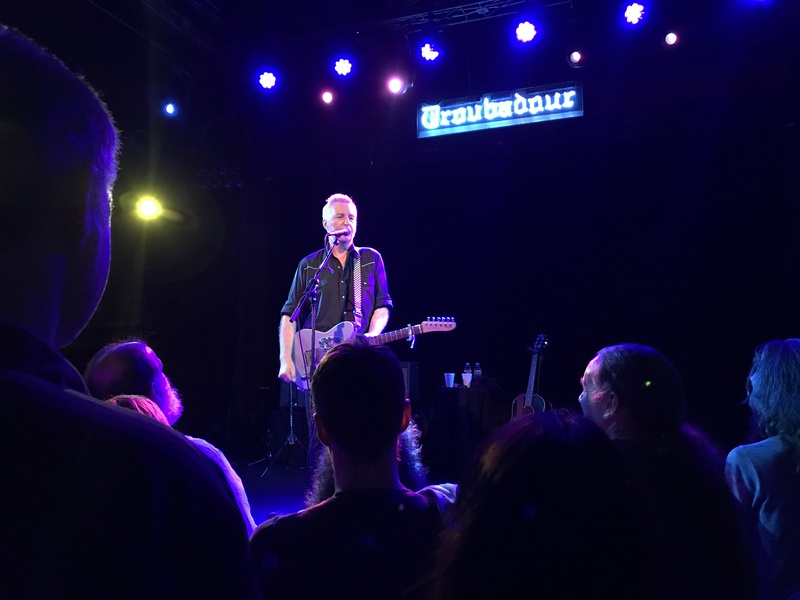 Last night I witnessed the boyish charm, poetic lyricism and political resolve of UK legend Billy Bragg in full splendor at the Troubadour in Los Angeles. 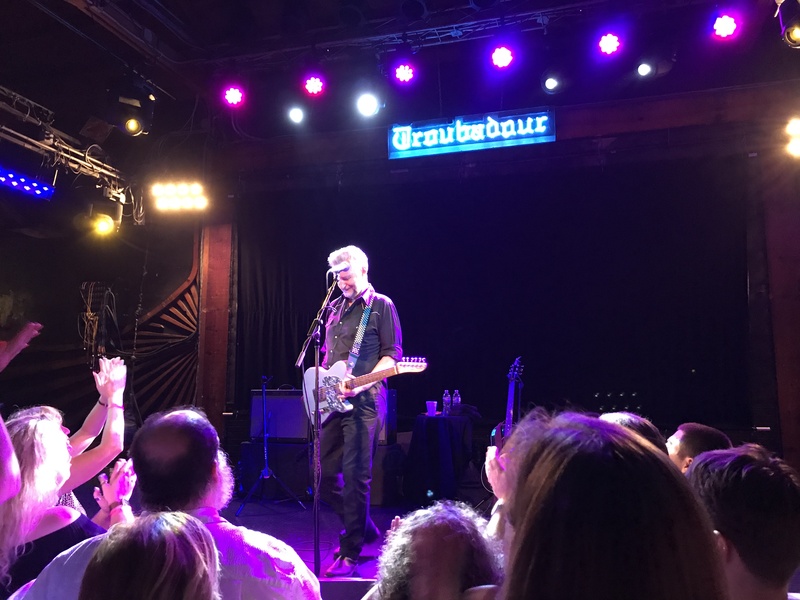 A true troubadour himself, Bragg’s “heart on his sleeve” candidness and advocacy has inspired countless legions of musicians and activists for well over three decades. He was one of the first musicians I had ever heard that so openly proclaimed the merits of unions, socialism and (in the case of his song “Sexuality“) the personal politics of celebrating one’s sexual orientation and mode of expression. 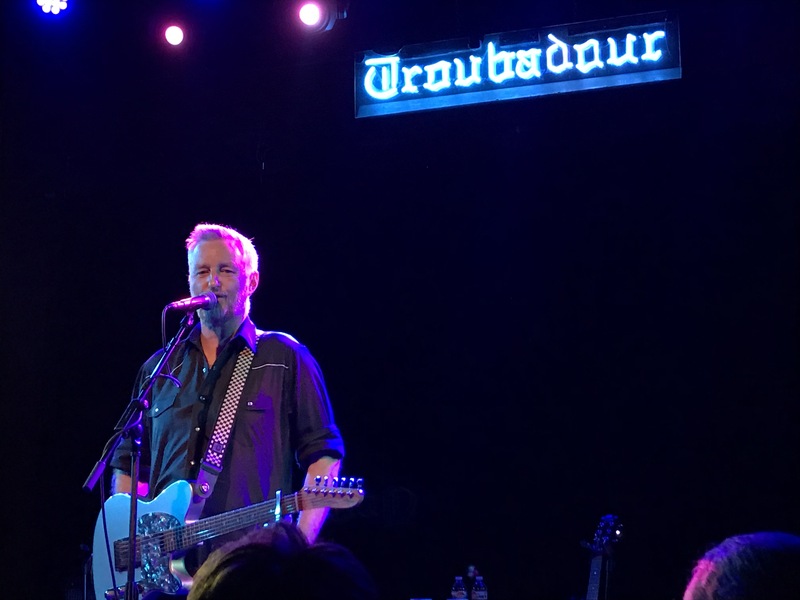 It felt like a precious thing, indeed, to see Billy Bragg in his purest form. Just him, a mic and a couple guitars. Back to basics. In many respects, his appearance at the Troubadour in Los Angeles was no small feat, given his losing his voice after his relentless touring, interviews and presentation the prior day at the Grammy Museum in honor of his new book “Roots, Radicals and Rockers: How Skiffle Changed the World,” a critically acclaimed exploration of skiffle, a guitar based permutation of American roots music performed by British teenagers in the 1950s that influenced countless musicians and set the course for the British Invasion that was to come. 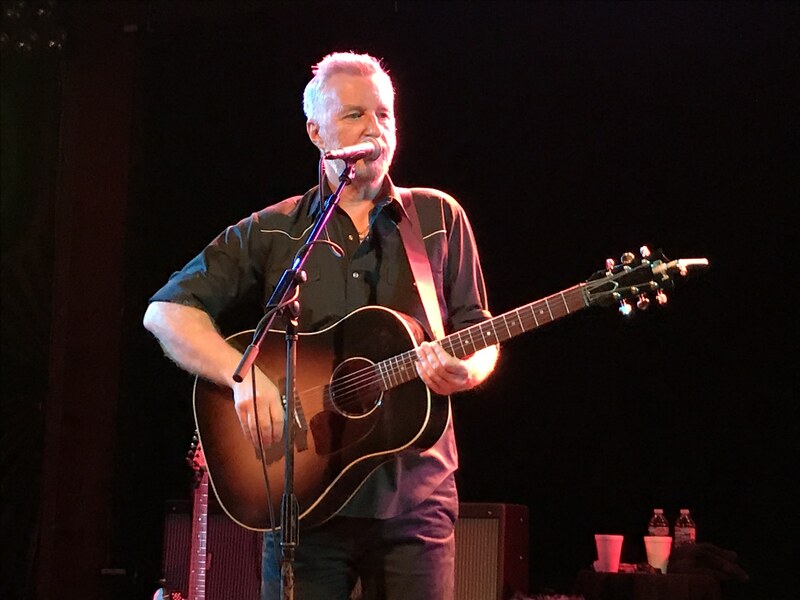 With an admittedly raspy and strained voice, Billy self-deprecatingly commented on his impairment at various times during the night, at one point joking that he sounded like a cross between Marlon Brando at the end of Godfather and a grimy Eastender criminal, while he emphasized that the audience’s experience might be not too dissimilar to seeing Bob Dylan perform today and expecting him to sound like he did on his early records. 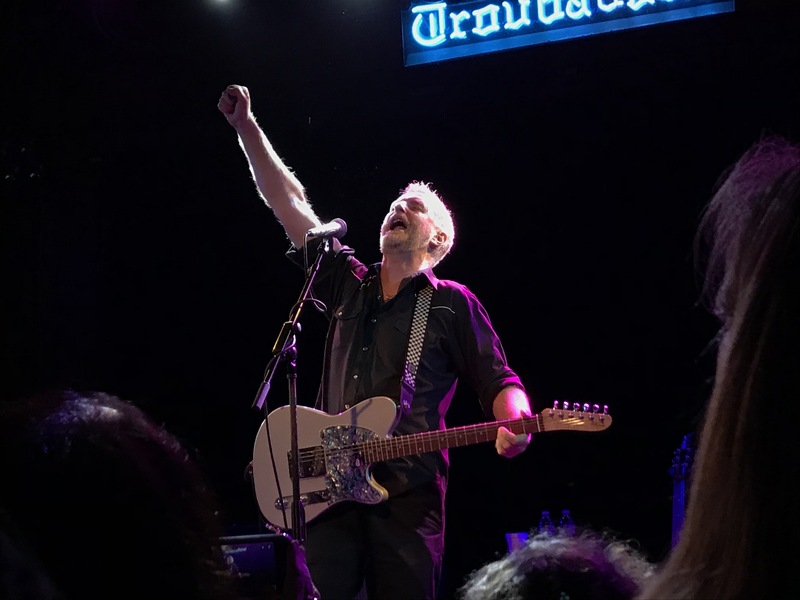 And yet, Billy barreled through the set with a strength and perseverance not too dissimilar to the locomotives that he and Joe Henry romanticized on their tour and “Shine A Light” album last year. A resolve undefiled by physical or biological limitations, fueled on the steam of political resolve and passion. 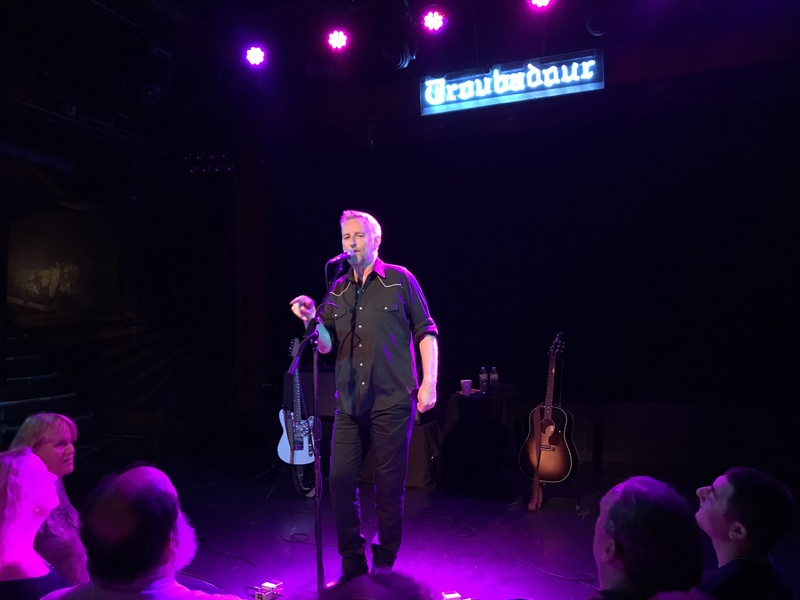 It was a voice that could not be silenced by any amount of strain or burden, making his impassioned set of over 20 songs even that more impressive and inspiring to the enthralled audience. The current isolationist political climate in the U.K. (manifested by Brexit) as well as the ascension of Donald Trump (or as Bragg repeatedly referred to as “45” in reference to the 45th president) provided ample targets for Bragg’s incisive wit and frustrations. 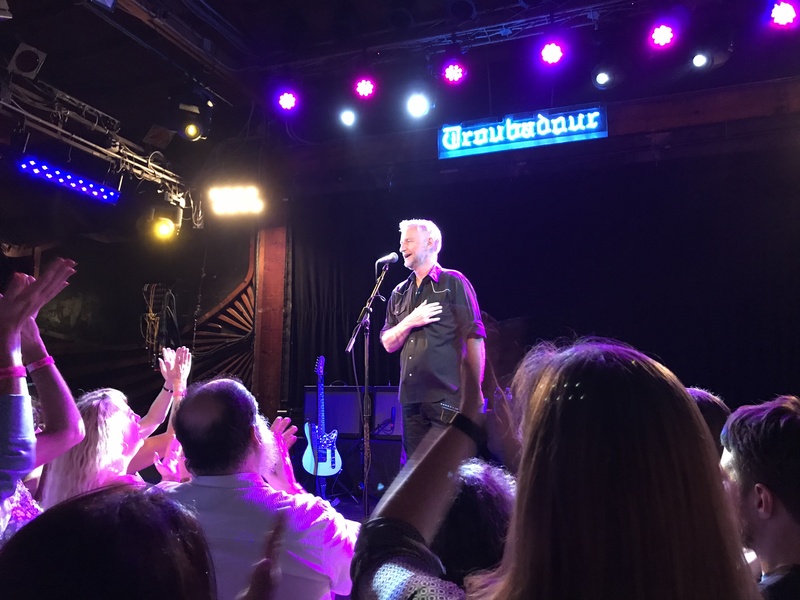 On a deeper level, the night provided the opportunity to talk about personal politics and introspection as Bragg urged the audience to conquer their own personal cynicism, which he identified was one of the most dangerous forces facing the world today. Adding to the heartfelt nature of the night, Billy made reference to it being the birthday of the late, great Kirsty MacColl with whom he had enjoyed a close friendship and collaborative relationship. 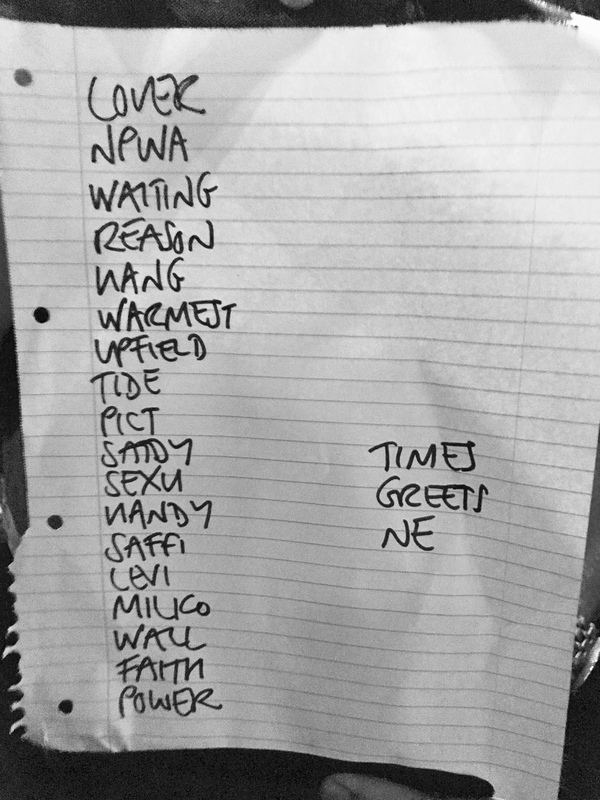 During his encore of “A New England” Billy even interjected Kirsty’s verses from her version of the song. Kirsty was there in spirit and the audience applauded every time her name was referenced. 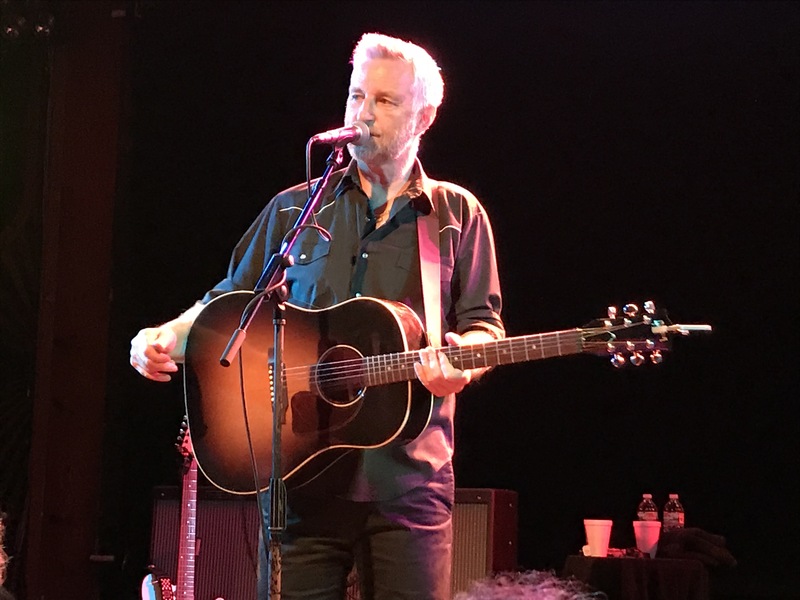 Additional highlights of the night included Bragg’s performance of his new track “Sleep of Reason,” a moving song that sheds light on the dangerous underbelly of racism and hate in America. Billy also performed his new single “Saffiyah Smiles” in honor of the young woman who retained her calm and humanity when coming face to face of the leader of the far right group the English Defence League at an anti-immigrant demonstration in Birmingham in April and subsequently became a social media icon for her bravery. 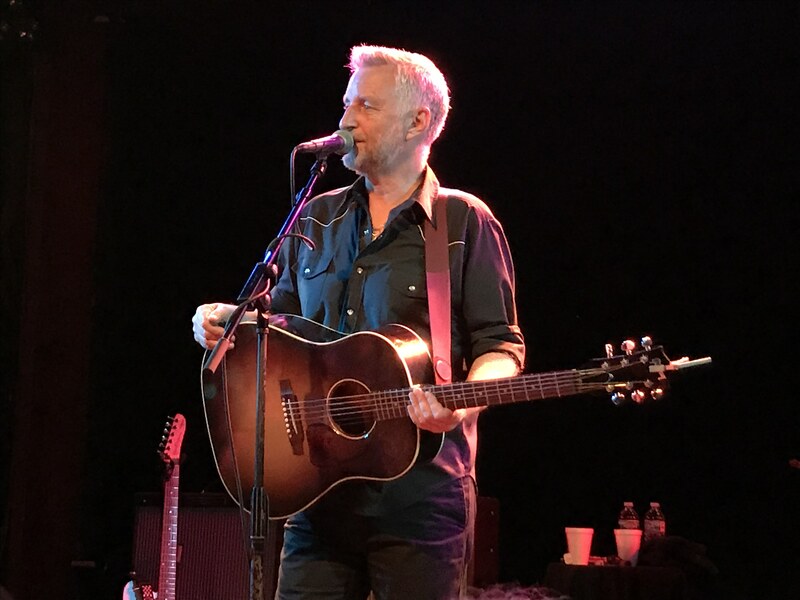 It’s a rare thing to see a singer-songwriter that is able to keep an audience captivated during a long set of songs that address weighty, emotionally unsettling topics that reflect the reality of the world we live in. 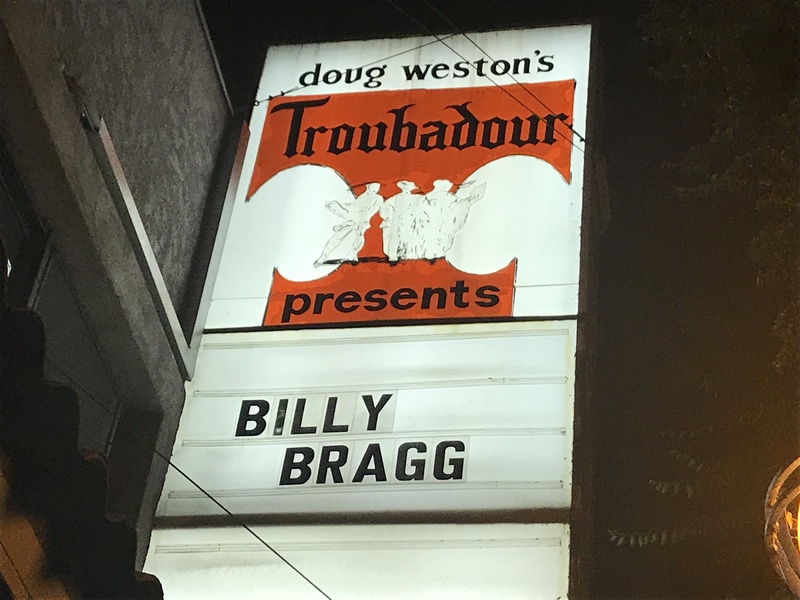 And yet Bragg did just that, planting seeds of inspiration that left the concertgoers at the sold-out show leaving the venue with a little extra spring in their steps, ready to walk out into the world and make it a better place. 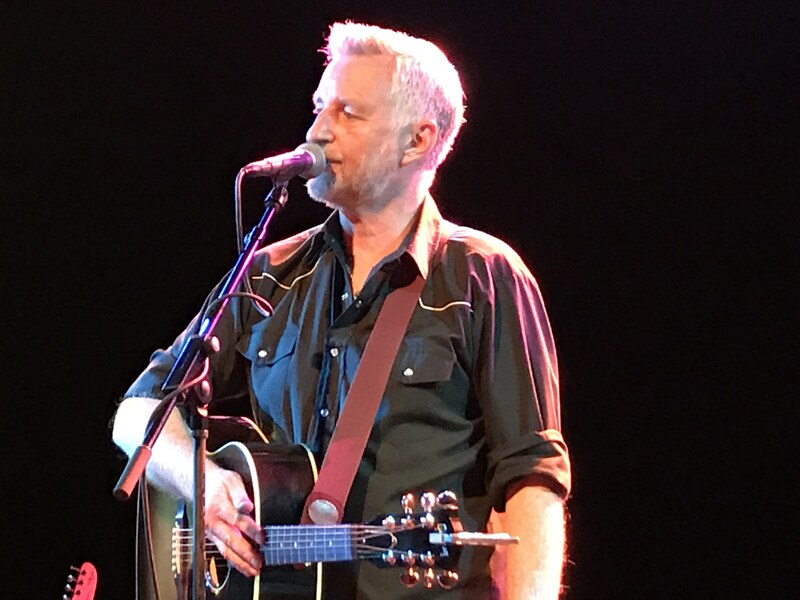 To pick up a copy of his new book “Roots, Radicals and Rockers: How Skiffle Changed the World“, to order a copy of his new album “Bridges Not Walls” (to be released on Nov. 3) and to stay up to date on his observational musings on the state of the world, check out www.billybragg.co.uk.